Weight: 3 pounds 10 oz. I believe this bag to be the one I would never leave home without when the temps fall below 0. I LOVE THIS BAG PERIOD! Only used a few times but was a great bag. Spent a few days this past January in Maine in the Flagstaff Lake area when temps dipped below -30. 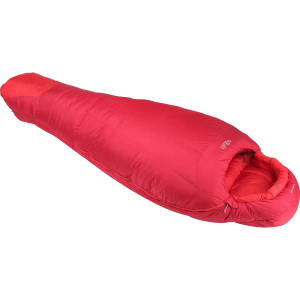 Used with a Thermarest Toughskin ground pad, vapor barrier liner, and semi clothed. Comfortable taking this bag basically anywhere. Weighing only 3 lbs 14 oz with a water/wind proof breathable shell, I couldn't find a better bag for the price. It's very roomy inside too. I am 6'1" 185 lbs and the Long size is best for me. I have used this bag without a tent in snow, high winds and single digit temps and was very pleased. 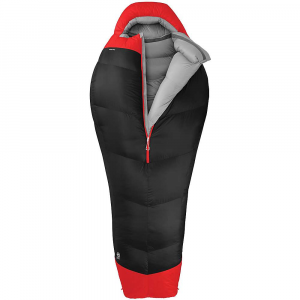 Skip the tent, this bag is weather proof! The coldest weather I have been able to test the bag in was -10 F (without windchill value) and I was inside a tent--the bag performed great. I love the color too! If I use this bag in temps over 15-20 F, I'll get hot unless I unzip it. I could only find one online review of this bag while I was considering it, and it wasn't rated very highly. I couldn't pass up the deal though, and I've never had problems w/ MHW, so I bought it. I have NOT been disappointed at all. I bivied on Whitney in Feb. and I never had to zip the bag up all the way, let alone cinch the collar. Temps were single digit. I'm 6' 2", a buck seventy five, and I like to move around when I'm sleeping. The Lyell did not leave me feeling mummified or cocooned, and I slept like the proverbial baby. 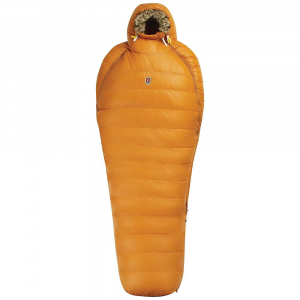 The weight is perfectly balanced w/ the temp rating, and the quality of construction is everything you'd expect from the good folks at MHW, although the apricot color would not be my first choice (that's what bivy sacks are for though, right?). Two thumbs up for the Lyell. This is a warm bag. I've used this bag several times this winter in temps well below zero and not once did I get cold. At first I didn't think a down bag was a good choice for Alaska, but so far it has been the right choice. And the bright color helps lift the spirit while sitting out storms. Thanks MH! The Lyell SL -15° has been discontinued. The Mountain Hardwear Lyell SL -15° is not available from the stores we monitor. 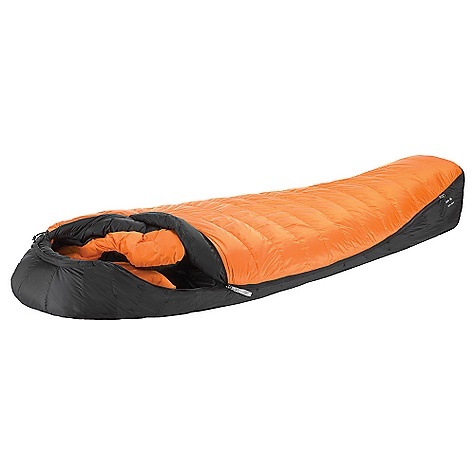 It was last seen November 27, 2010	at REI.